Property Details: 4 Bedroom, 4 Bathroom Property with approx. 2100 square feet. 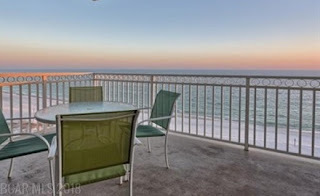 Gulf Shores condo for sale at Colonnades. Ever thought about owning an eye popping east corner condominium in heart of Gulf Shores with a one of a kind view? This one will make your knees buckle. It has everything you have fantasized about in one place. The perspective offered from the floor to ceiling glass on the 8th floor at The Colonnades is so beautiful you'll feel inspired. Must see!